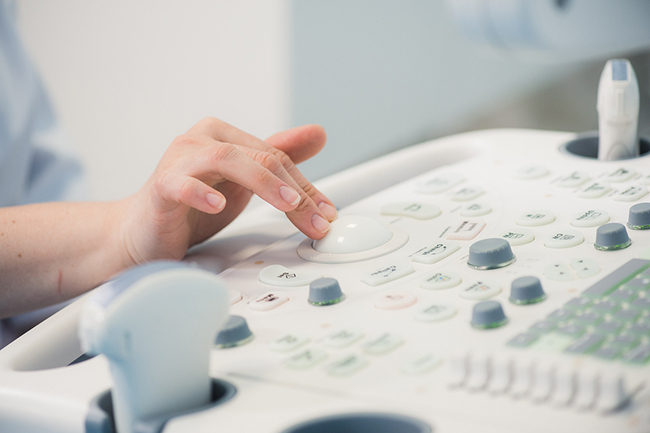 For individuals already employed in various, but related, medical fields, or with previous experience in the allied health professions, the Institute of Ultrasound Diagnostics offers a cross-training program to those interested in sonography. This three (3) week program is a popular choice for those in medical fields such as nursing or radiology technology who are sponsored by their employer and are looking to expand their resume of skills and capabilities. Students who complete the cross-training course will leave with the basic skills necessary to build upon while under the supervision and instruction of a certified sonographer at their place of employment. For those individuals exploring cross-training options in diagnostic ultrasound, there are a few specific requirements that must be met prior to enrollment. Unlike the comprehensive one-year course of study, this abbreviated cross-training course offers students an introductory training of sonography basics for normal anatomy. This course option is not intended for students looking to start fresh with a medical field profession, nor is it designed for those individuals looking to work independently as sonographers immediately upon course completion. The curriculum is designed to provide complementary skills training for those already established in other allied health fields. Note: if you are interested in pursuing a comprehensive education in Ultrasound Diagnostics, take time to look into the full, One Year course program at IUD. Hands-on scanning labs will be offered throughout the three (3)- week course for students to gain practical experience along with in-class knowledge. For those enrolled in this abbreviated course who are interested in gaining experience in Obstetric Sonography, there additional OB scan labs available upon request for a separate fee. For any student participating in the cross-training program, all scan labs take place with one-on-one instruction, allowing for direct supervision and teaching between the instructor and student. The didactic teaching sessions for this training course are available for both resident and distance learning students looking to expand their job skills. Upon course completion, it is recommended that graduates of the cross-training program receive an additional 3-6 months of direct clinical supervision in their place of employment. Once the pre-established time for direct supervision has expired, it remains highly recommended that general clinical supervision should continue for a minimum of 3 to 6 more months. In the end, course graduates of the cross-training program should receive no less than 9-12 months of clinical supervision once returning to work. Find out more about our cross-training and 12-Month program in our brochure. All students enrolled in the three-month course MUST have met all of the requirements for the Cross-Training program AND successfully completed the 3-week course prior to the start of the session. The additional content covered throughout the three-month course will give students a solid foundation to build from when beginning independent study for the ARDMS Abdominal Registry exam. If you are interested in learning more about the Cross Training Programs available at IUD, please contact us for more information.